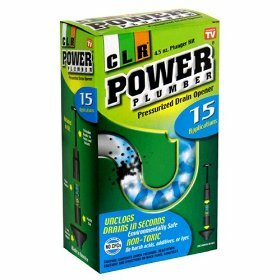 I have never unclogged a toilet with drain opener nor will I! Let me explain this please. 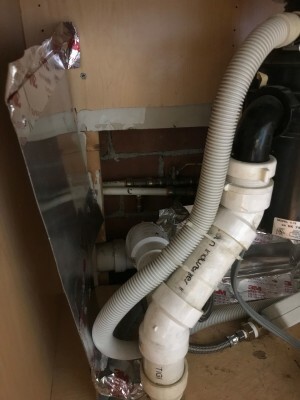 I am a service plumber and have cleared many drains, I also am on several well-known plumbing forums on the web offering help to people with plumbing problems. 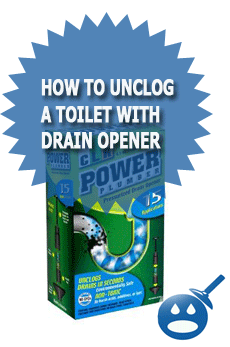 The subject of using drain opener on a toilet frequently comes up on those forums and just this morning on a popular “How To” website I see a brand new article telling people “How To Unclog A Toilet With Drain Opener” which prompted me to write this article. I was appalled that any website which claims to be an authority on ‘How To’ could offer such inept and possibly dangerous advice. Drain openers while they may offer limited results on other drains than toilets with the typical hair and grease clogs are not designed to handle the clogs in a toilet. The clogs in a toilet are caused by solids such as toilet paper, feces, and sometimes foreign objects that are caught in the trapway of the toilet after being flushed that the waste is catching on. Drain Opener will never dissolve the material clogging a toilet. In addition the chemicals in drain opener are hazardous often-strong bleach based, caustic based, or even some that are acid based which if used create a hazardous soup in your toilet. Some of the drain openers may even generate heat, which can cause a toilet bowl to crack. At best when the toilet remains clogged and you follow the advice on this popular “How To” website you pull out the plunger after 30-minutes of the drain opener not working and try to plunge the toilet with the bowl full of the drain opener. Don’t do it! If this hazardous soup in your toilet bowl splashes on you it can bleach or, burn holes in your clothes, burn your skin, and if it gets in your eyes cause blindness or, severe eye damage. The advice I offer is to skip the chemicals that do not work. First use a plunger. I find that plungers, which have a rubber funnel that, can be unfolded from inside the plunger offer better sealing on toilets even the ones that have square holes. Fill the toilet bowl with water higher than the normal water level of the bowl to just short of reaching the rim. Then extend the rubber funnel on the plunger, then put the plunger in the bowl and tilt it as much to the side as possible allowing the plunger to fill with water. Put the plunger to the drain opening, sealing it against the opening as good as you can. Slowly push the plunger down against the outlet of the bowl then draw back quickly allowing the suction to pull the clog back, repeat several times and more than likely you will be rewarded for your efforts with the bowl suddenly draining. If the toilet does not unclog with the pull back method a second technique that I have good plunger results with is to use the plunger with quick short strokes in and out, which will vibrate the clog causing it to loosen and open the drain. I avoid long hard pushing strokes which can cause the clog to become tightly packed in the trapway as this will make the clog harder to break up and remove. Once the toilet has been cleared and I have flushed it several times I usually test the toilet by throwing in clumps of toilet paper which are similar in size and amount to which you would normally use, use about 4 of them and flush test the toilet several times with them. If the toilet immediately clogs with the paper then clears with the plunger I suspect there is a foreign object it the bowl that the paper is catching on and clogging. If the toilet will not clear with the plunger or, I feel there is a foreign object in the toilet I switch from using a plunger to using a closet auger. You may also use a closet auger to unclog a toilet. The closet auger is a special type of snake designed just for toilets. The closet auger has a “J” shaped tube, which supports and guides the snake into the toilet trapway. The tube is also coated with rubber to prevent the bowl from being scratched. A regular snake does not have the supporting tube and will horribly scratch the toilet bowl, in addition to just getting tangled up trying to get the snake into the trapway. They sell cheap econo-augers for about $10 but avoid those they are not strong enough to do the job. Instead my recommendation is to buy either a Ridgid or, General brand 3-foot closet auger with a drop head, which sells for about $40. To use the closet auger you simply grab the tube and the handle and pull the snake portion of the auger back inside the tube. You then place the tube into the outlet of the bowl and while holding the tube in place turn the handle while slowly pushing the snake into the drain. As the closet auger snake goes through the trapway it will break up the clog allowing the bowl to drain and if there is a foreign object there is a hook on the drop head which may hook the foreign object and you just stop turning the handle an quickly pull back on the handle removing the snake from the drain bringing the object out on the hook. Using a closet auger requires a “feel” but as long as you don’t try to turn the handle or, push the snake in too hard you probably will do all right with it. The closet auger is actually my preferred tool for unclogging a toilet. Please do not use drain openers in a toilet. Thank you very much for this article. I have made multiple trips to hardware stores over the years trying to find an effective drain opener for toilets, and nobody ever once told me that this was a dangerous and ineffective method! Instead, I was told to buy the most powerful “liquid plumber” product available – typically one that required me to use gloves – and one even recommended using a mask so I didn’t breathe in fumes. You would think that all of this should have told me that this was a bad idea. And having read your article, I’m now able to put this all together and make the connections. I’m so thankful I stumbled upon your article, so that I never make this stupid mistake again, endangering myself and my family in the process. I’ve been dreading the idea of using a snake, because I was grossed out by the idea of pulling feces up on a snake and having to clean the snake afterwards. But even if I’m completely wimpy and simply throw the $40 snake away after one use (ridiculous, I know! ), I’d still be better off thank continuing with my risky and pointless attempts at using chemicals in the toilet. Again, thank you! This has been immensely practical and helpful advice. I hate that this happened to you but I swear the way you worded it gave me the grandest laugh I’ve had in many, many months!!! This is a great article. We were just planning to buy something for the toilet as it,s been a bit slow at times on the flush.think we’ll hold off with chemical and stay safe. The plunger sounds good and maybe it’s a winter thing. Thanks for the advice. I do agree with all the concepts you have presented for your post. Nonetheless, the posts are very quick for newbies. May you please lengthen them a bit from next time? the meal!! But yeah, thanks for spending some time to discuss this matter here on your site. I am rather certain I’ll be told a lot of new stuff proper here! can I say… I put things off a lot and don’t seem to get nearly anything done. Drain Opener | Wet Head Media < Loved it! this weblog consists of remarkable and genuinely fine stuff for visitors. genuinely nice and the viewers are really sharing nice thoughts.